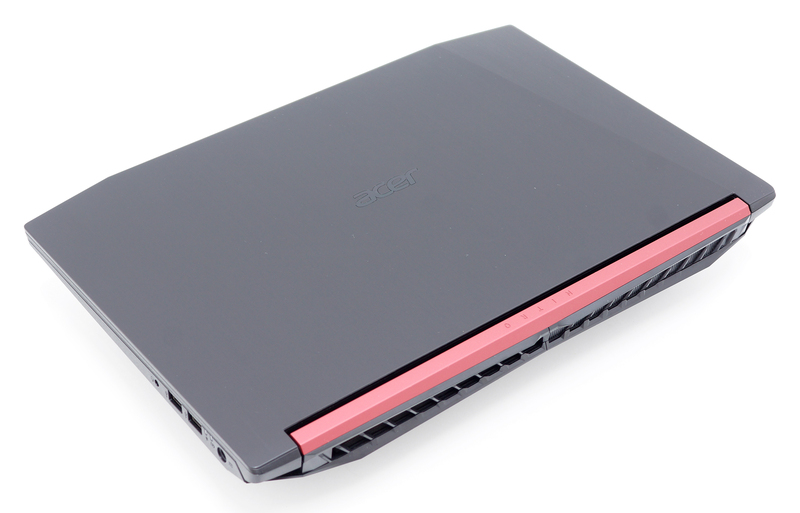 Acer’s Nitro 5 lineup seems like a strange addition to the gaming family since there are already low-end gaming configurations under the Aspire VX 15 brand. 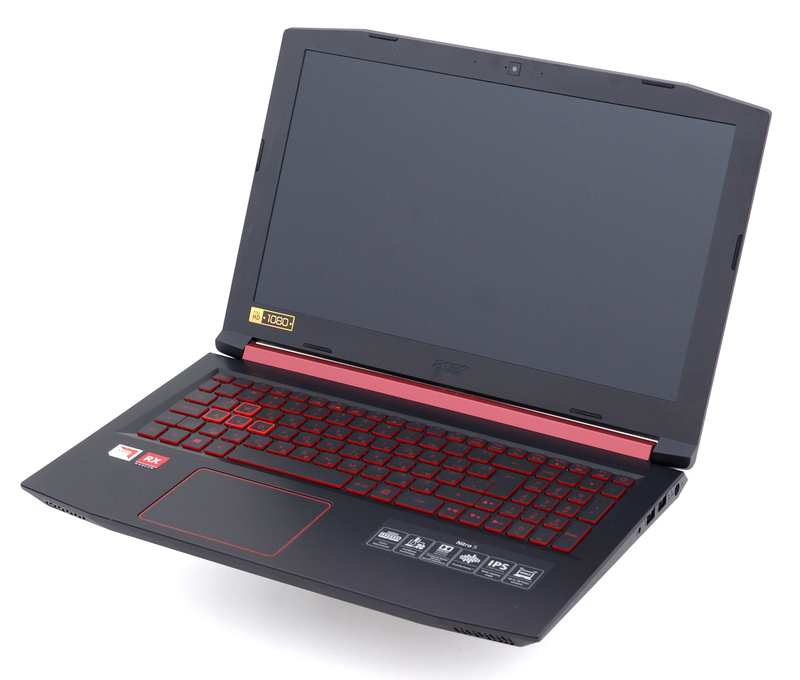 In any case, the Nitro 5 has more in common with the mid-range Acer Predator Helios 300 notebooks rather than the VX 15 due to its cooling design, chassis and overall construction. 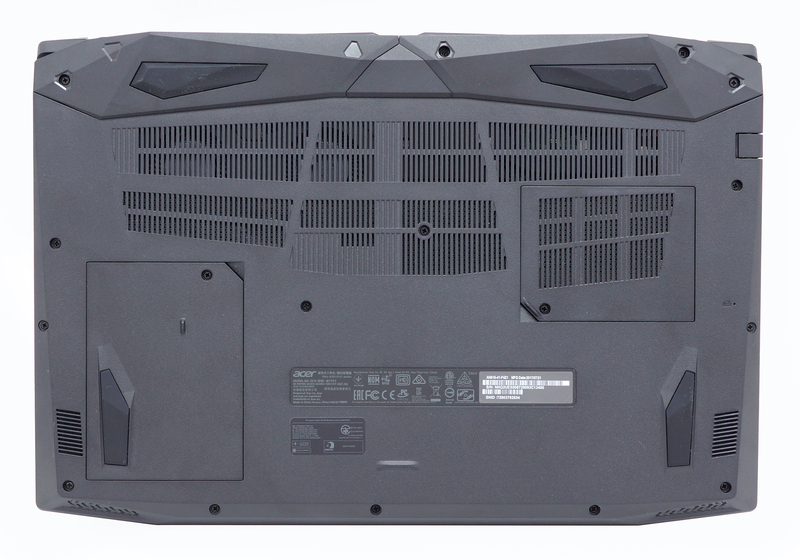 And while the case looks good and appears to be more solid than the VX 15, the Nitro 5 incorporates a poorly-designed cooling solution with both cooling fans stuck on one side. We’ve seen the same done in the Helios 300 and the Lenovo Y520 and it’s needless to say we weren’t pleased with the results. 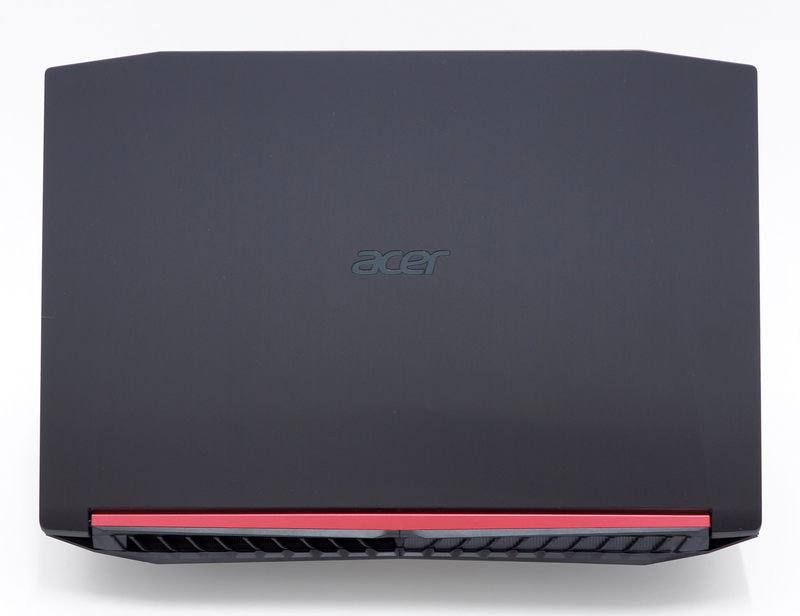 On the hardware front, Acer is shipping the Nitro 5 in various configurations and most of them include the Core i5-7300HQ and the Core i7-7700HQ CPUs paired with a GTX 1050 or 1050 Ti. However, we thought the AMD configuration will spark more interest in our readers because it’s the first AMD-powered gaming laptop in a long time and it costs just $799, yet still comes with an IPS panel. And besides, we’ve already tested several GTX 1050 and 1050 Ti configurations so performance won’t be much different. Let’s see how the new but old AMD FX-9830P CPU and the Polaris-based AMD RX 550 GPU will fare against Intel and NVIDIA’s entry-level gaming hardware. 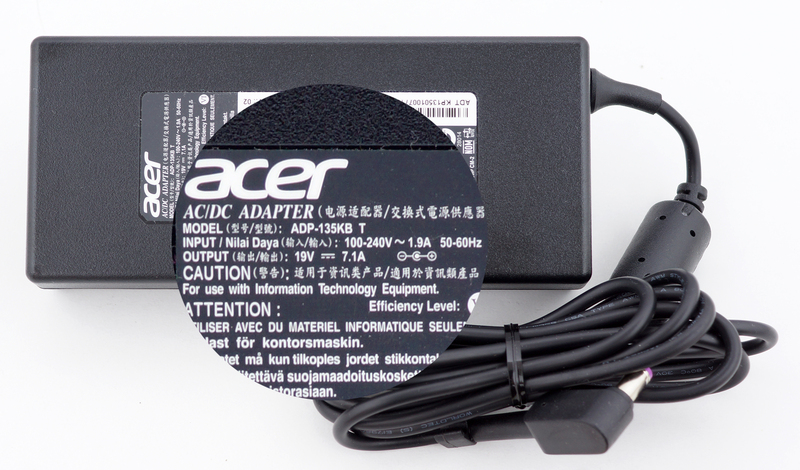 There’s nothing special inside the box – just the usual user manuals, AC adapter, power cord and the laptop itself. 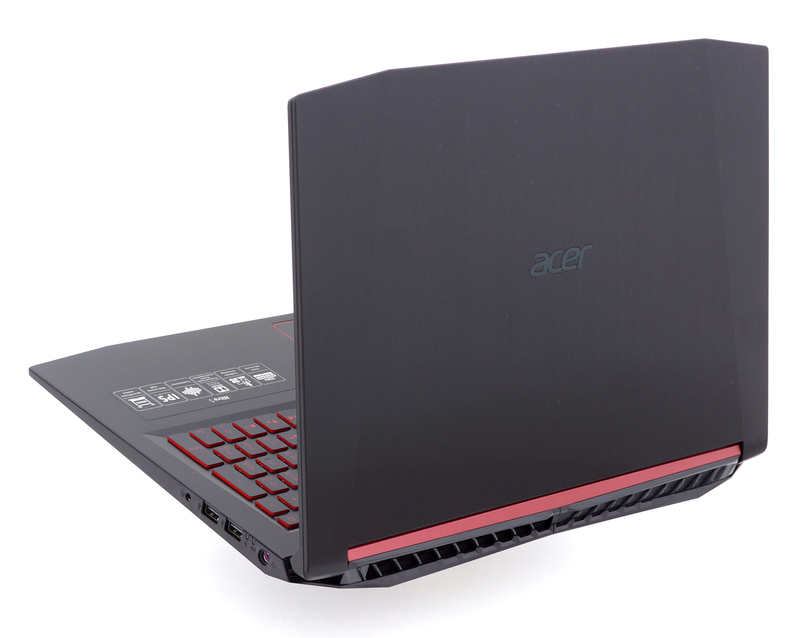 Despite the usual color scheme that the Acer Nitro 5 adopts, the slightly darker tone of the red and Acer’s black logo on the back of the lid give the machine a more distinct look and appearance. Plastic is the main order of the day but the lid is now made of brushed aluminum, which is a nice change of pace compared to the VX 15 lineup. Also, it gives the Nitro 5 a more sophisticated and clean look. But when it comes to portability, the Nitro 5 doesn’t surprise us – it weighs just about what you’d expect from a 15-inch gaming laptop (2.4 kg) while measuring 27 mm in height, which is a considerable decrease in thickness compared to the VX 15. Let’s continue with the build itself. As we already said, the lid receives the brushed-aluminum treatment with a pretty clean look and black Acer logo in the middle. Pressing the middle results in slight bending but the whole lid isn’t very resistant to torsion – our twisting attempts resulted in quite a noticeable deformation. Also, due to the hinge spacing, the lower chin of the display remains unsupported and it’s easily flexed. But in reality, this might not be such an issue for most users and given the price point of the Nitro 5, it’s mostly on par with what the competition offers. As far as the hinges go, they offer smooth and linear travel allowing the notebook to be opened with just one hand. 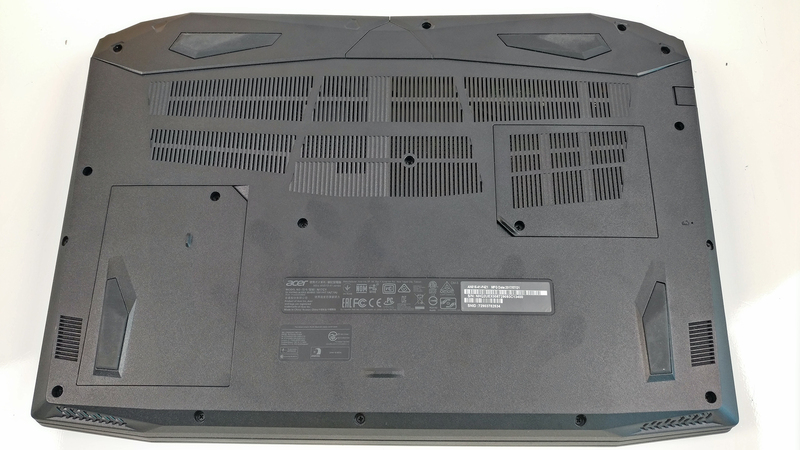 The bottom uses the usual slightly roughened black plastic with two small service lids for the HDD and RAM upgrades while the grills provide cool air intake for the cooling system. The sides come with the usual set of ports and are well-distributed on the left and right side. The left comes with the RJ-45, USB-C 3.1 (Gen 1), HDMI, USB-A 3.0 and an SD card reader. While the right side features only the DC charging port, the 3.5 mm audio jack and two USB 2.0 connectors. This way most of the cables won’t get in the way while gaming with your mouse on the right. And on the back, you can see quite familiar grill design (hint: Helios 300) with the only opening on the left. The interior features the same silky-smooth plastic finish that attracts fingerprints and smudges like crazy but it definitely feels nice. It’s also fairly rigid with the exception being around the touchpad area where even small amounts of pressure result in noticeable flex. The keyboard and the touchpad compensate for that, though. The former features well-spaced keys with decent key travel, slightly concaved keycaps and tactile feedback. 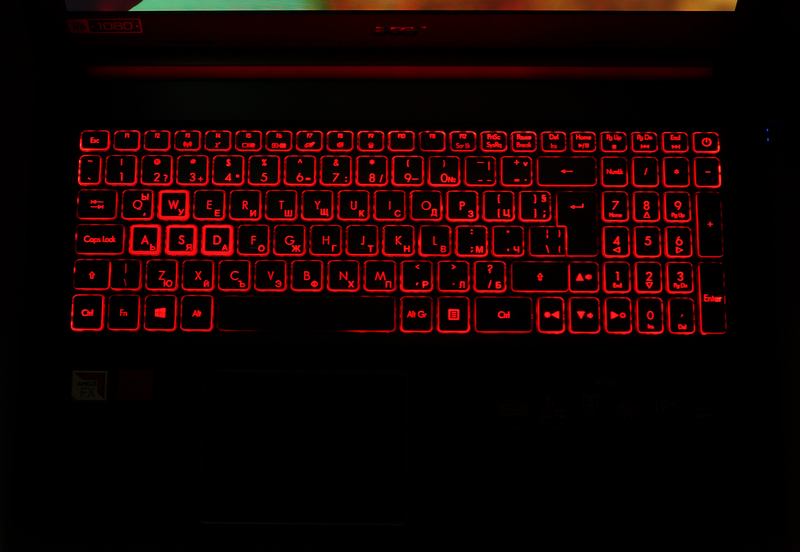 Typing on it is great but might not suit everyone when it comes to gaming. This is, however, what the industry offers at this price range anyway. The touchpad also feels pretty good and will most definitely get the work done on the go but we would have appreciated a bit lighter clicks. Pretty much all the issues the Nitro 5 has with the build quality are linked to the budget nature of the laptop. Still, we can see a noticeable improvement over the VX 15 and hopefully, it won’t cause any problems in practice. It’s well-made overall. 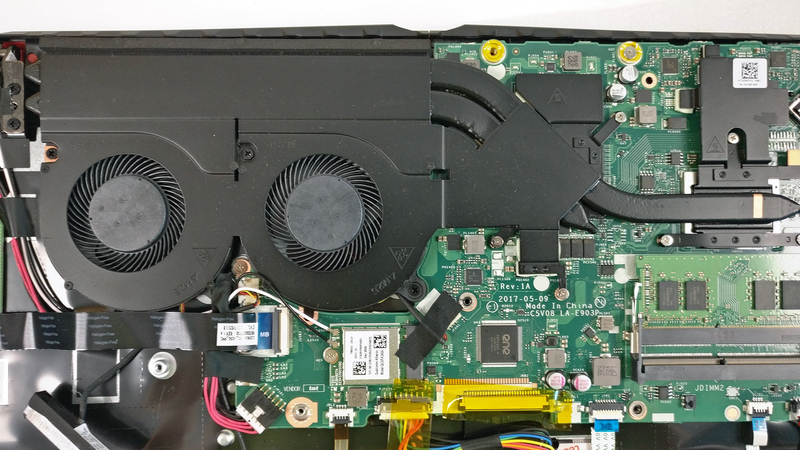 If you need to access only the 2.5-inch drive and the RAM slots, there’s no need to remove the whole bottom – the laptop has two small service lids giving access to both. 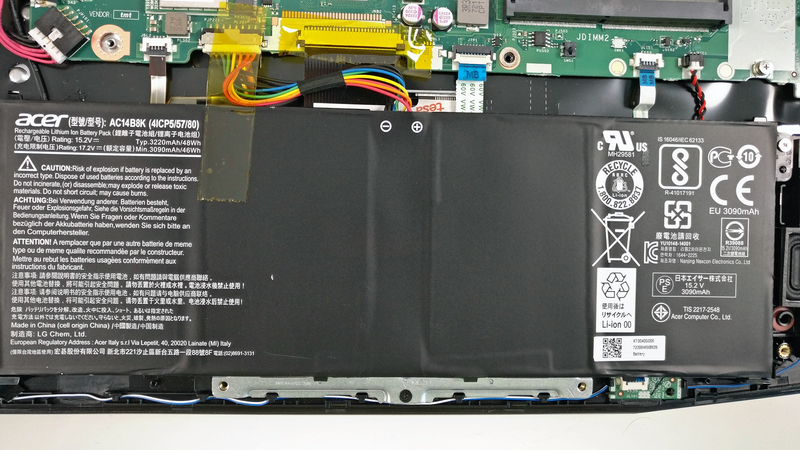 However, if you need to install an M.2 SSD, change the battery or just clean it up the cooling fans. As we’ve already mentioned, the 2.5-inch drive can be accessed by removing the small service lid. 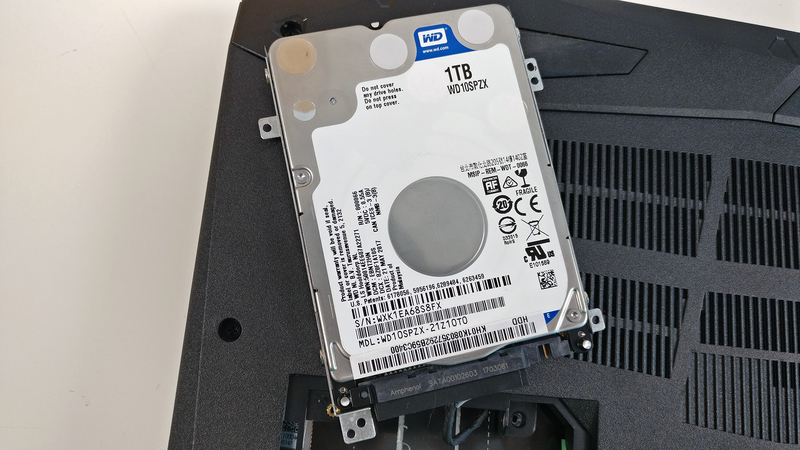 Our unit came with 1TB WD Blue HDD spinning at 5400 rpm. 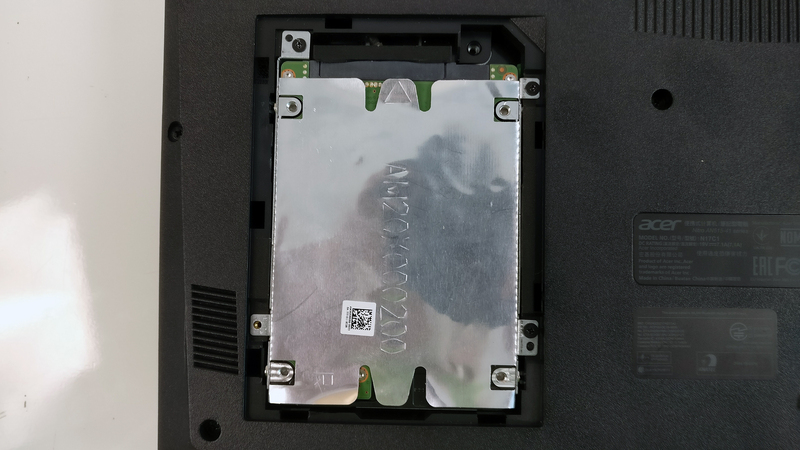 But if you need to install or change the M.2 SSD, you have to remove the whole bottom cover to access it. 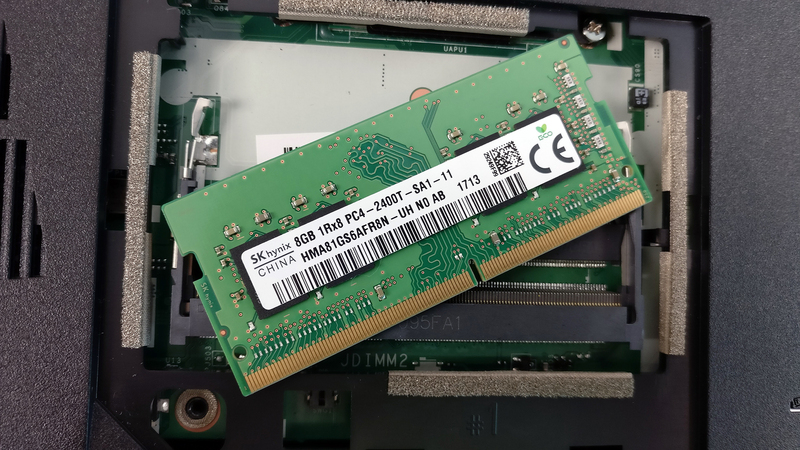 Both RAM slots are located under the service hatch supporting up to 32GB (16GB each) of DDR4-2400 memory. 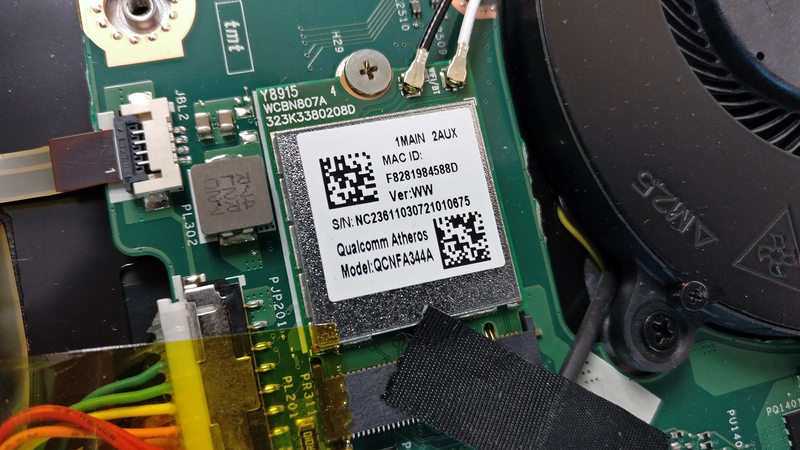 The Wi-Fi adapter is right next to the cooling fan – Qualcomm Atheros QCNFA344A. The battery is placed under the wrist rest area and it’s rated at 48Wh. The cooling system appears to be insufficient for more powerful configurations but it did well with the current one. The reason for this is the two stuck together cooling fans and the small heat pipes that can’t disperse the heat effectively. 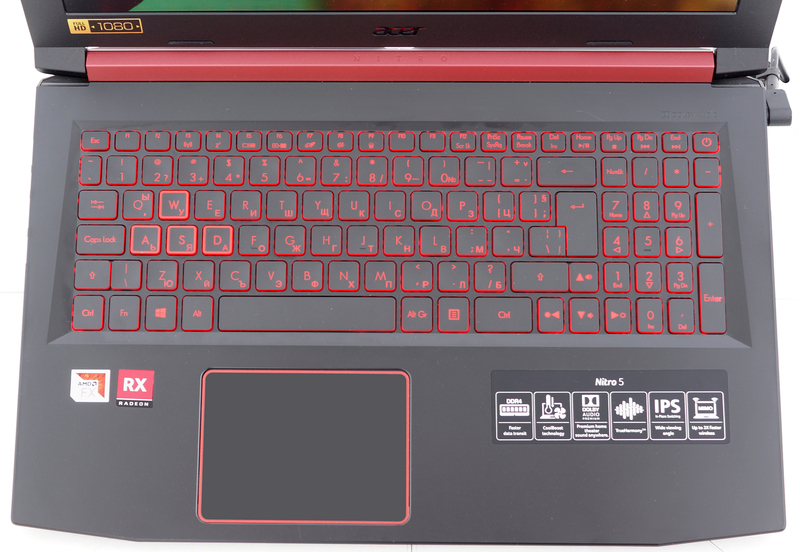 The Acer Nitro 5 uses an already familiar panel – LG LP156WF6-SPK6 – a 15.6-inch Full HD (1920×1080) IPS panel also found in the Acer Predator Helios 300 (15-inch). The pixel density is 142 ppi while the pixel pitch is 0.18 x 0.18 mm. The panel can be considered as “Retina” when viewed from a distance equal or greater than 60 cm. We’ve recorded a maximum brightness of 286 cd/m2 in the center of the screen and 269 cd/m2 as average across the surface with 12% maximum deviation. However, we’ve noticed that the panel gets pretty dim when it’s off the charger – 104 cd/m2 to be exact. This is a rather annoying problem that we hope Acer will resolve with a future update or release because we didn’t notice the Predator Helios 300 having the same issue. Anyway, color temperature on white screen at maximum brightness is almost perfect – 6510K but as we go along the grayscale, it’s usually around 6350K. 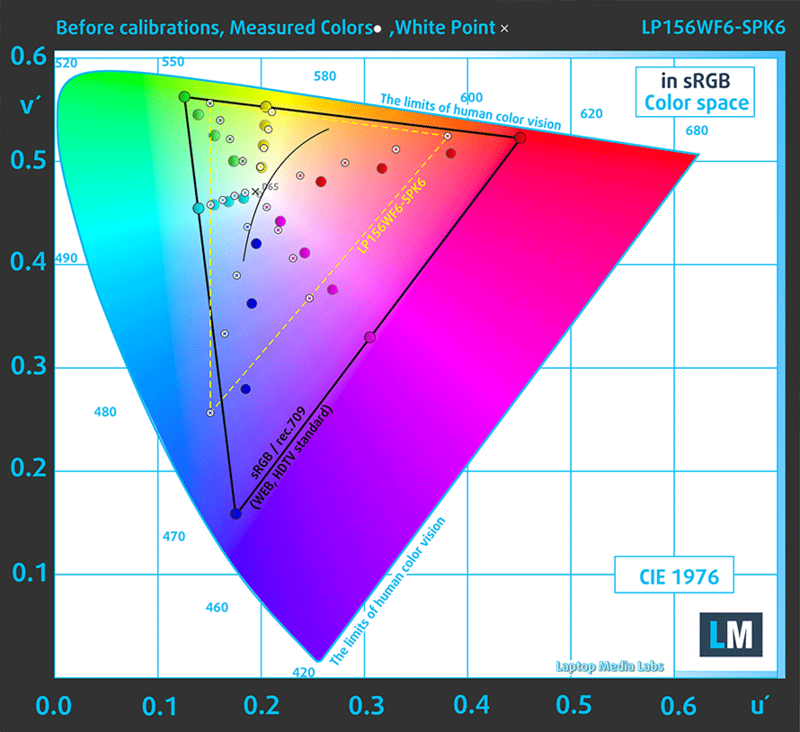 You can see how values change at 142 cd/m2 or in other words – 55% brightness. The maximum color deviation dE2000 compared to the center is 2.8, which isn’t bad as values above 4.0 are usually unwanted. The contrast ratio is excellent – 1180:1 (1090:1 after calibration). The display covers just 53% of the sRGB color space so basically half of the web-based colors and those that are used for HDTV won’t be reproduced. As expected, the display doesn’t use PWM for regulating screen brightness making it safe to use in this regard. While this panel wasn’t a good fit for the considerably more expensive Acer Predator Helios 300, the LG-made IPS display fits well into this budget gaming category on the Acer Nitro 5. Yes, it might be color-deficient but it’s way better than a lackluster TN panel. The bonus here is the high contrast ratio, the absence of PWM and reasonable maximum brightness while plugged in. A big letdown is the maximum luminance when used off the charger. The sound quality is good, there’s enough clarity in the low, mid and high frequencies. We used the already installed Windows 10 for the writing of this review but if you wish to perform a clean install of the OS without the bloatware, we suggest downloading all of the latest drivers from Acer’s official support page. Unfortunately, due to the problem with the maximum brightness when the notebook isn’t plugged in, we were only able to run our tests at 104 cd/m2 brightness (since this is the maximum luminance without the notebook being plugged) instead of 120 cd/m2 giving the Nitro 5 an unfair advantage over its competition. In any case, the battery life appears to be decent and the seemingly insufficient 48Wh battery unit actually does its job pretty well. The rest of the settings like Wi-Fi being turned on and Windows battery saving feature remain. Pretty good result on the web browsing test – 485 minutes (8 hours and 5 minutes). 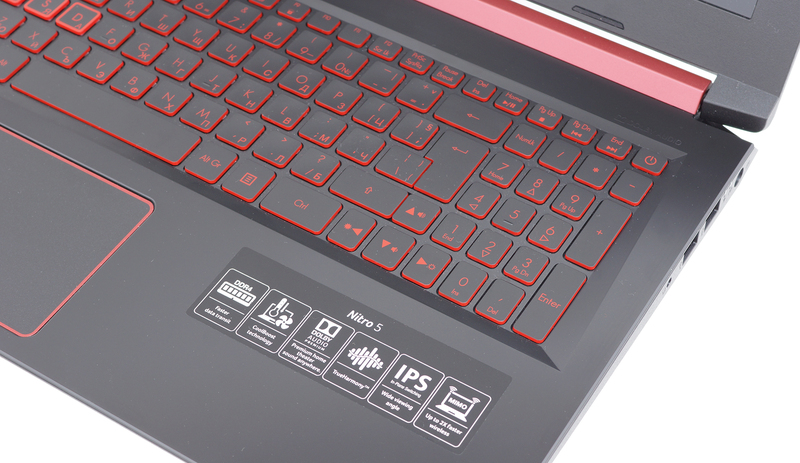 Keeping up with most gaming laptops at this price range – 320 minutes (5 hours and 20 minutes). Of course, the laptop isn’t made for gaming away from the power source but it’s good to know that it can handle a little over hour and a half – 101 minutes (1 hour and 41 minutes). The AMD FX-9830P is a 45W TDP SoC from the 28nm Bristol Ridge generation of AMD APUs with 4 compute cores and 8 graphics cores branded Radeon R7 GPU. Although the chip was announced mid-2016, the processor gained speed in 2017. Clocked at 3.0 – 3.7 GHz, the chip should be going against Intel’s quad-core 45W TDP lineup but falls short in multi-core performance due to the lack of alternative to Intel’s Hyper-Threading technology and in addition, features just 2MB of Level 2 cache. 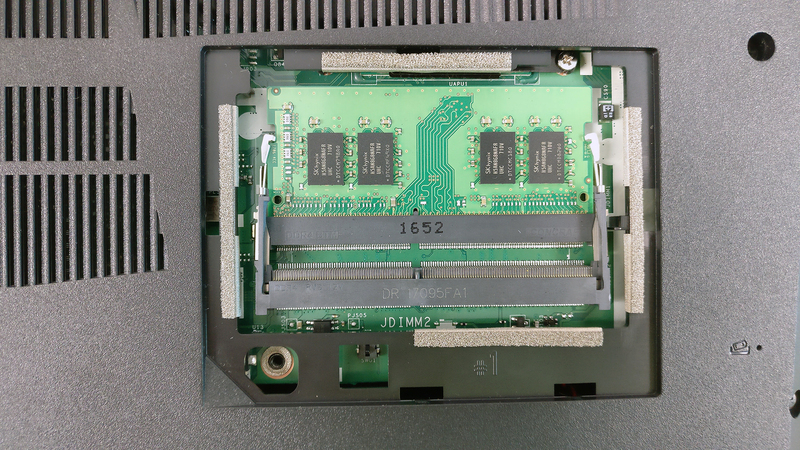 Still, the chip is the most powerful AMD APU and brings support for the usual I/O and dual-channel DDR4-1866 memory controller. Regarding the Radeon R7 iGPU, it sports 512 shader units clocked at up to 900 MHz and according to AMD, it should bring better graphics performance than some low-end dedicated GPUs. The Radeon RX 550 GPU is based on the Polaris 12 architecture utilizing the 14nm FinFET manufacturing process. Due to the improvements in the 500-series GPUs over the 400-series, the new models allow higher clock speeds – 1100 – 1183 MHz. 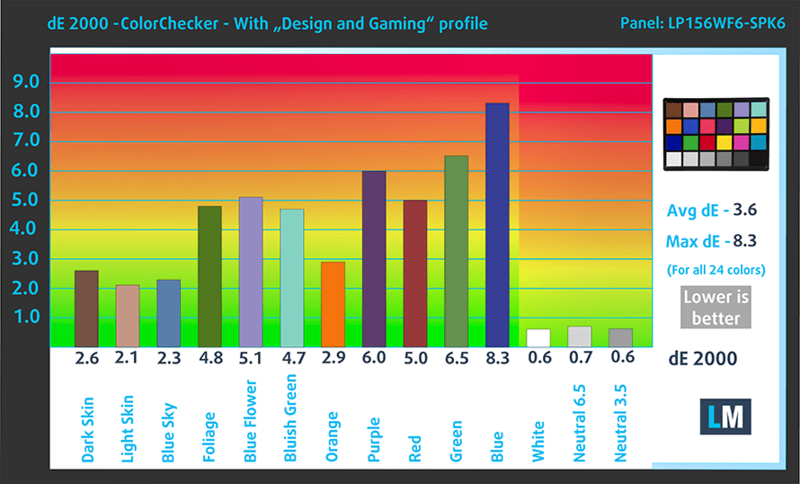 And although the chip features 640 shaders, the RX 550 uses only 512 of them. The chip integrates a 128-bit memory bus, 4GB of GDDR5 VRAM clocked at 7000 MHz effective clock speed. 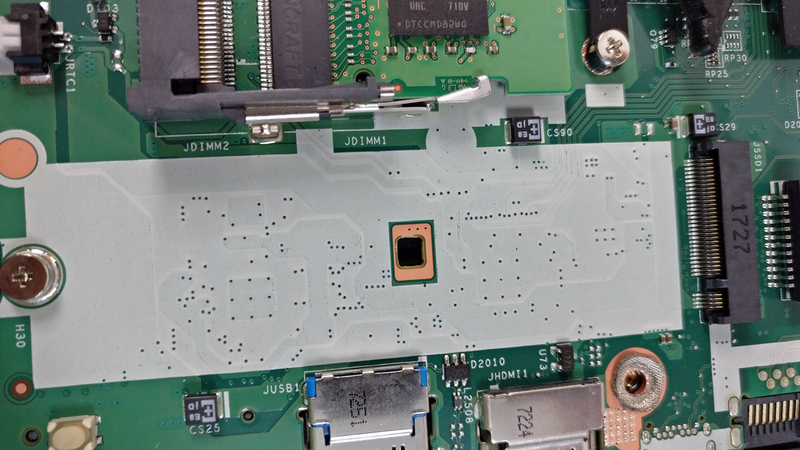 The whole TDP of the chip should be slightly lower than 50W since the desktop variant is rated at 50W. The RX 550 supports the usual features like DisplayPort 1.3 / 1.4, HDMI 2.0, AMD FreeSync, DirectX 12 and Vulkan. As usual, we ran the stress test that we always perform, which, by the way, can’t be taken as real-life usage scenarios but it always gives us a fair estimate of how the cooling system handles heavy workloads such as games sometimes. 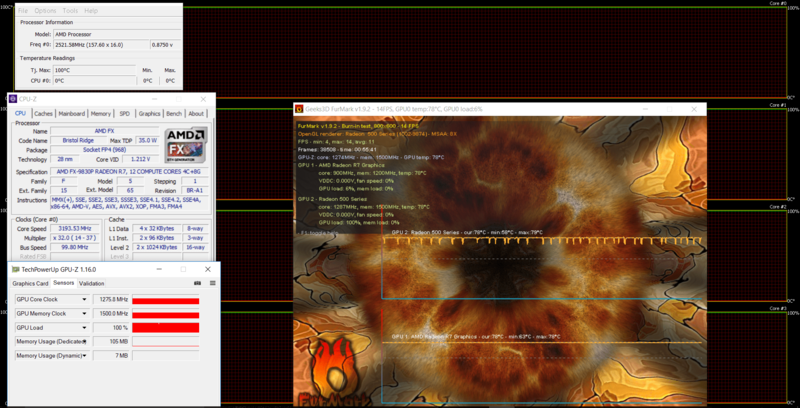 We started with 100% CPU usage for about an hour and the FX-9430P ran at solid 3.5 GHz with all active cores but unfortunately, the sensors weren’t able to report the operating temperature at the moment. Still, this is a good result since the chip kept its boost frequency up the whole time. 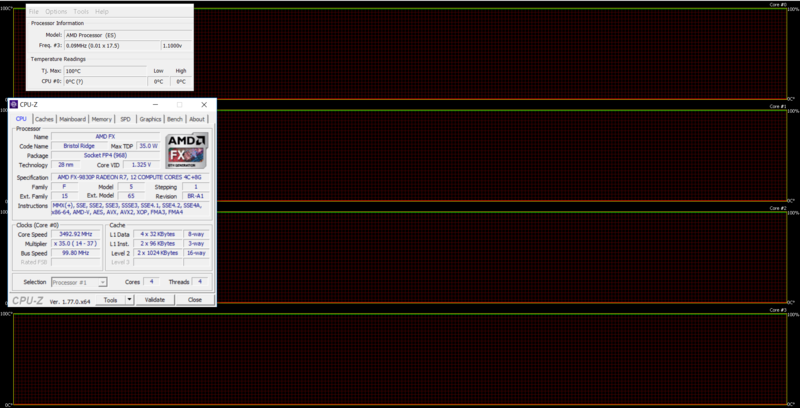 After an hour had passed, we turned on the GPU stress test as well. The CPU’s frequency fell down to a more comfortable 3.2 GHz – but still within the boost frequency range (3.0 – 3.7 GHz) – but the exceeded its maximum operating frequency – 1275 MHz. We’ve noted, however, that the RX 550 ran a little bit warm – 79 °C. The most important thing, however, is that neither the CPU or the GPU throttled at any point. Fortunately, the inner temperatures didn’t result in high outer temperatures and the palm rest area remained cool throughout the whole test. Gaming on a budget? 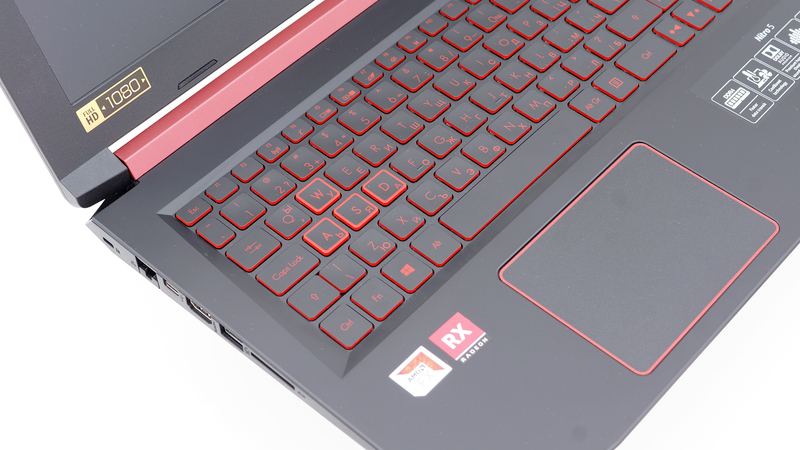 As always, AMD configurations are one of the most lucrative ones in the lower-end spectrum of the market and the Acer Nitro 5 proves it. It’s really hard to come across a capable gaming machine with for just $799, however, a quick search on Acer’s website shows an Intel/NVIDIA build that costs just as much with Core i5-7300HQ and GTX 1050. So the real question is, which one is better? Although the AMD Radeon RX 550 gets close to the GTX 1050 in terms of gaming performance, the AMD FX-9830P falls short even to the Core i5-7300HQ, let alone the fact that the CPU has been released over a year ago. 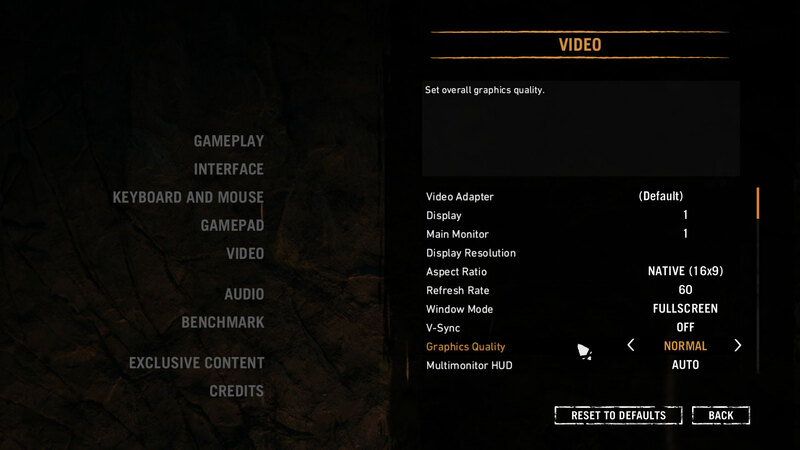 This means that opting for the Intel/NVIDIA configuration is actually the smarter choice due to the considerably better compute power of the Core i5-7300HQ CPU. Also, we’ve had our fair share of compatibility issues with the AMD drivers and the GTA V greet us with a warning saying that the CPU’s performance might not be enough for running the game smoothly. But despite all the usual AMD-related issues you might have, there are some key selling points that the Nitro 5 has in general. For example, the Full HD IPS panel is rarely found in this price range and will satisfy the needs of every casual gamer and should do just fine for multimedia consumption on the go, especially when you consider the absence of PWM. But be aware of the brightness issue we’ve encountered – the display is really dim without being plugged to a power source. The build quality is better than average and the input devices are comfortable to use on the go. Thanks for the probably only in detail test about this laptop in the net. 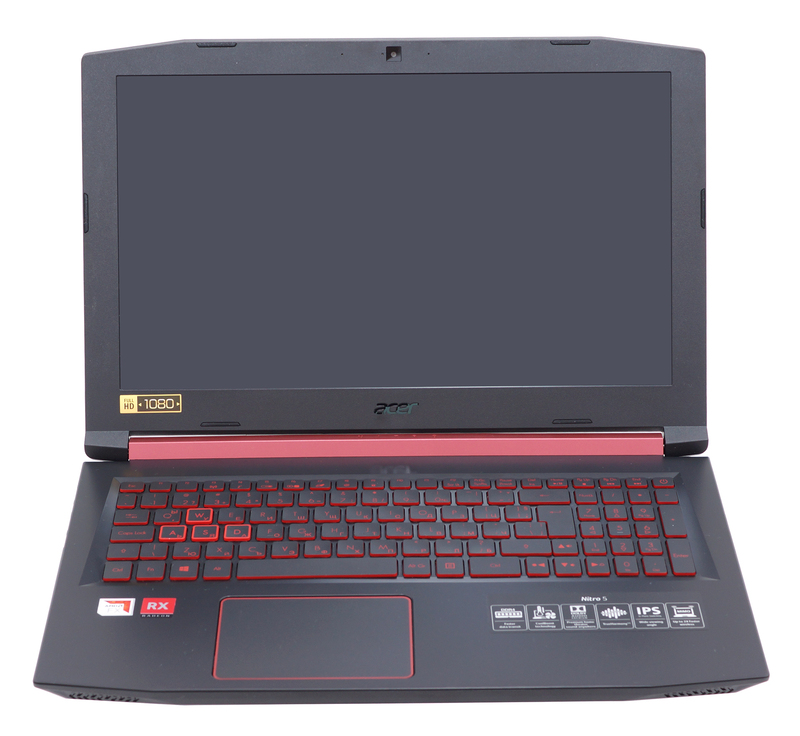 hello guys , how many RAM channels does the Acer Nitro 5 AN515-41-F6UH have? There’s a new model of the Nitro 5 with i7-8750H CPU and Geforce 1050Ti GPU. Any plans to review it? I’m trying to decide whether to buy it or a Dell G5 with similar specs. Any advise? Hi can it support 2600Mhz RAM?